I will try to reflect here my thoughts on an ethical problem that the medical system in Sweden and probably other countries are facing. It is called in Sweden for “behandlingsbegränsning” translated as limitation of treatment. Samuel suffered a very rare tumor disease called Inflammatory Myofibroblastic tumor (IMT) proved so unusual that Samuel, when only six years old, was operated in the United States, since Swedish experience on this kind of tumor was to little . The operation went well, but the cancer came back. The tumor accumulated fluid and Samuel had surgery five times at Astrid Lindgren Children’s Hospital in Stockholm, but each time the cancer would return. – He was incredibly brave and a very wise little kid. He was seven years old, but he was definitely mentally at least five years older, “said Jan Söderstrom his father” in the program, I would say many more, I would communicate with him at a level I even have trouble with adults to achieve. After one and a half years of struggle the surgeons at the Karolinska Hospital no longer operated. They saw it as pointless in having more surgeries, unless there was also a medical treatment that worked. But Samuel was too weak to try an operation with cancer killing substances placed in situ. As for other Swedish hospitals, the answer was the same. No longer they wanted to operate. When Samuel has 35 days left, is when I visited him the last time, the parents looked very sad, they had just heard the word “treatment limitation”. They are told that Samuel is dying and that it is not ethical to give him CPR or respiratory care, because it would only lead to unnecessary suffering. The medical team that made that decision, will have to agree that at the end they certainly did not understand his case, as in the beginning, when they sent him to the US, and now, when even more such a drastically medical decision is made without the parents having a say not even to name the religious guidelines, these were totally ignored by the hospital. Even the same oncologists at Karolinksa that had approved a cure , a non FDA approved experimental medication, DCA, which after two days was showing positive results, was ignored, because of the one month previous medical team “Limitation of treatment” dictate. Even if there was a small chance while Samuel is fighting to get some air, and asks turning up the oxygen, for he says that he has difficulty breathing, an anesthesiologist comes in the room. He had never before met Samuel, when he leaves the message was: “respiratory care will not be granted because Samuel is too sick”. 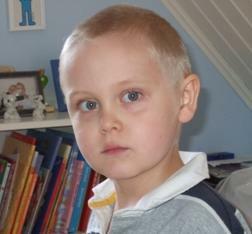 35 days after the parents first heard the term “limitation of treatment” Samuel, rests in peace. It is the night of 20 December 2009. I was in another Continent unable to help the family in their grief. Samuel’s care on Astrid Lindgren’s Hospital has today become a legal issue. Jan and Miriam police notified the anesthesiologist and prosecutors have launched an investigation about the cause of death. Meanwhile, both the hospital’s own investigation has come to the conclusion that no error occurred. They would not give him respiratory care , when he was weak and was trying to fight against the tumor. I would like to further look into what jewish law certainly would never permit, to let a patient die. Because life is sacred and of infinite value, above all it is our duty to preserve it. An ethical dilemma that our tradition and law solved 3000 years ago, but the so-called “developed civilization” does not understand. Samuel rests in peace now, but he left us a message, it is our responsibility to see that the medical community changes the laws in “limitation of treatment”, and that this never occurs again.